LG had unveiled its new L-series at the MWC 2012 and we even saw the budgeted Optimus L3 making its way to India. 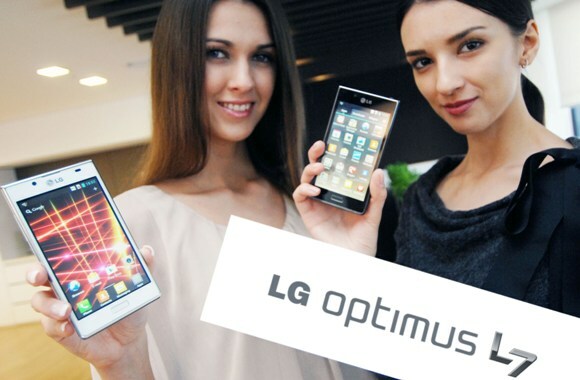 Today we have news that the LG Optimus L7 will begin arriving in European stores this week. The smartphone has a 4.3-inch display, runs on the latest Android Ice Cream Sandwich OS and is pretty slim at 8.7mm. The handset has the same 4:3 ratio that the company has introduced with the new L-series and the handset somehow looks good even with the awkward screen ratio. Other features include a 1GHz processor with 512MB RAM, a 5MP camera, 4GB internal memory expandable via microSD, and a 1,700mAh battery.